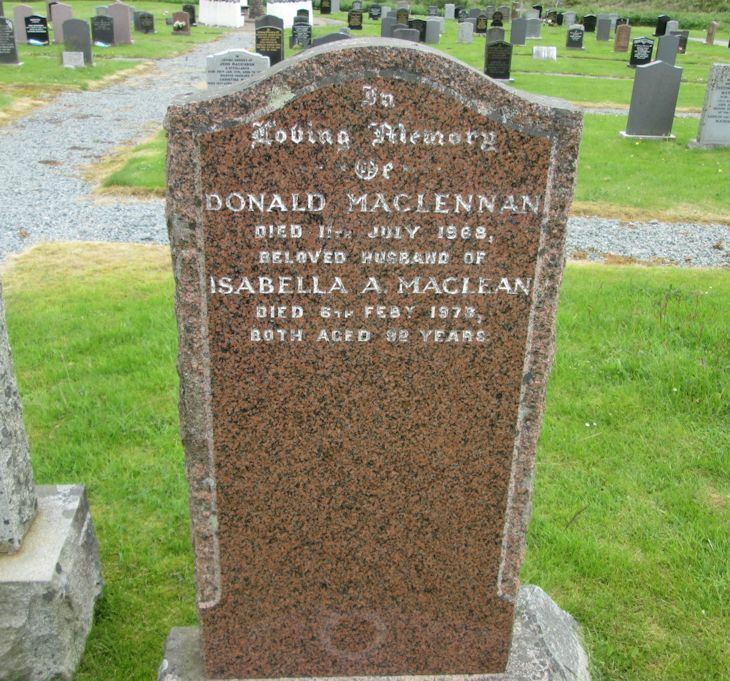 Skye Gravestones | Donald & Isabella (Maclean) Maclennan. Donald & Isabella (Maclean) Maclennan. In/loving memory/of/DONALD MACLENNAN/died 11th July 1968/beloved husband of/ISABELLA A. MACLEAN/died 6th Feby 1977/both aged 92 years.